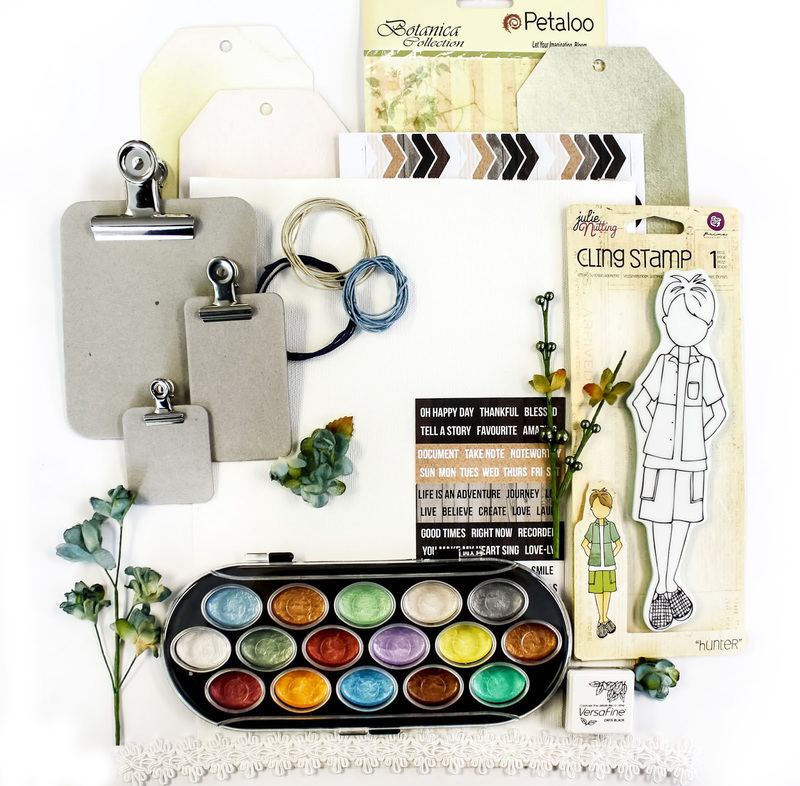 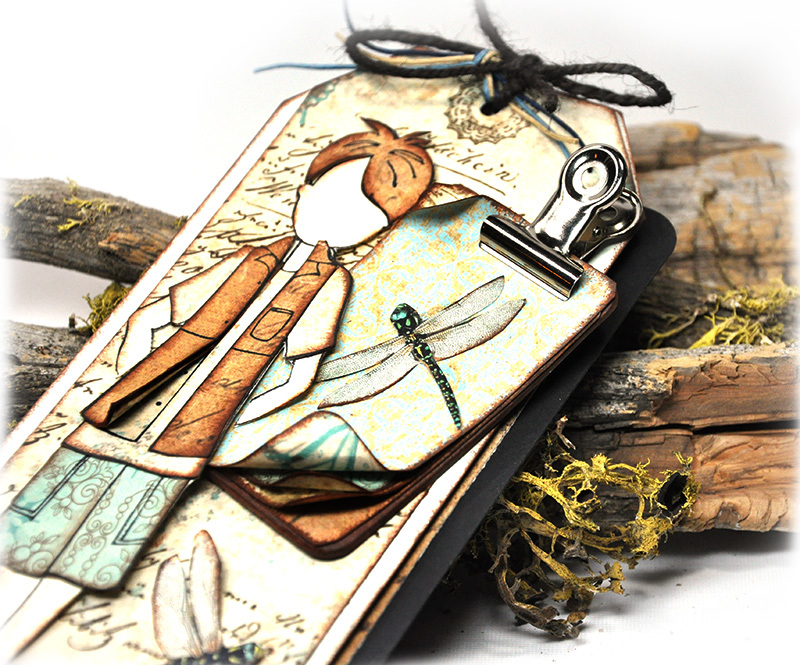 Our Small Art Big Passion is all about the love of making cards, tags atc's and anything in between -from Stamps, flowers, paper and embellishments in between the yummy goodies included will enhance any of the kits or stand alone . 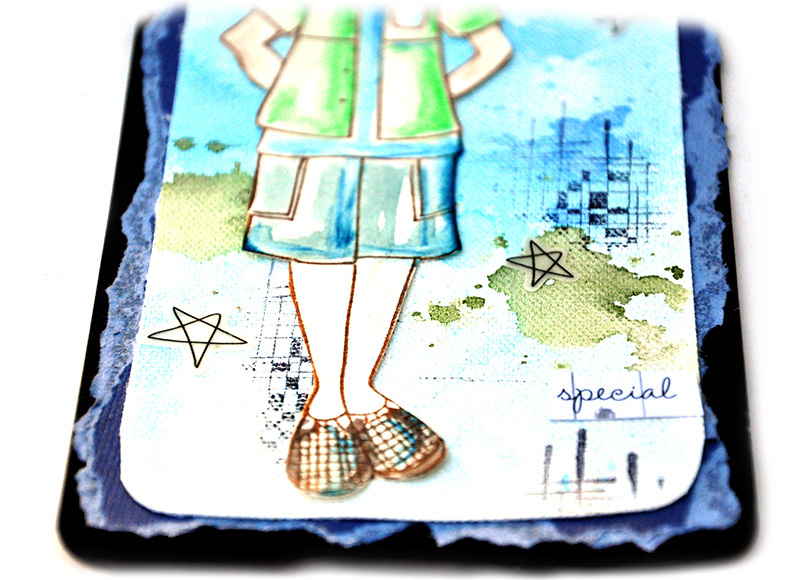 I took this mini kit in two different directions using the same basic element - Prima Julie Nutting Doll Stamp - Hunter. 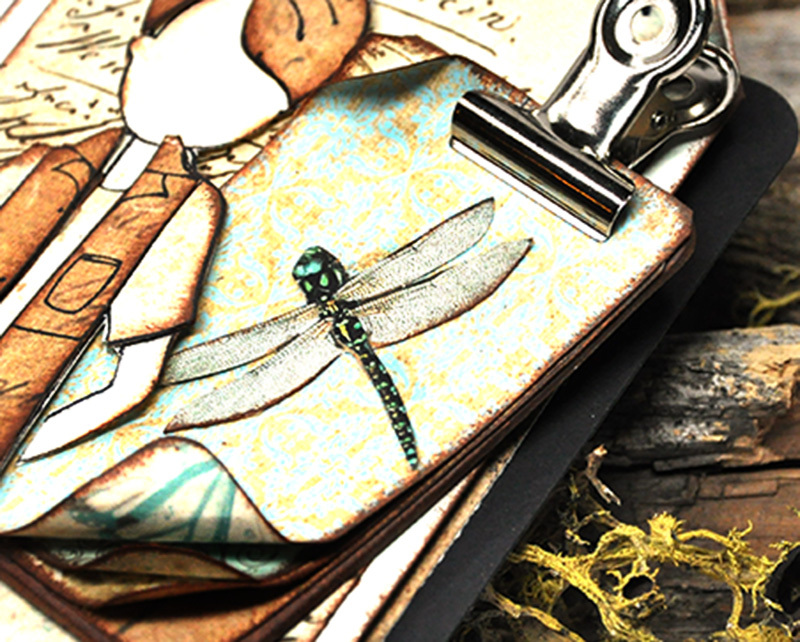 I thought I'd place him in a natural setting amidst the dragonflies and moss. 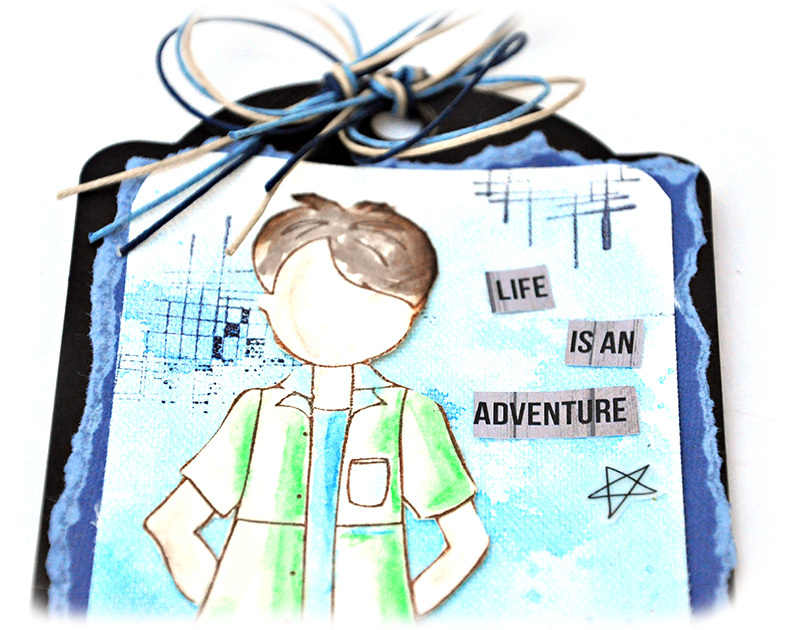 The second tag features Hunter on a piece of painted and stamped canvas using water color paints and canvas that come in the kit. 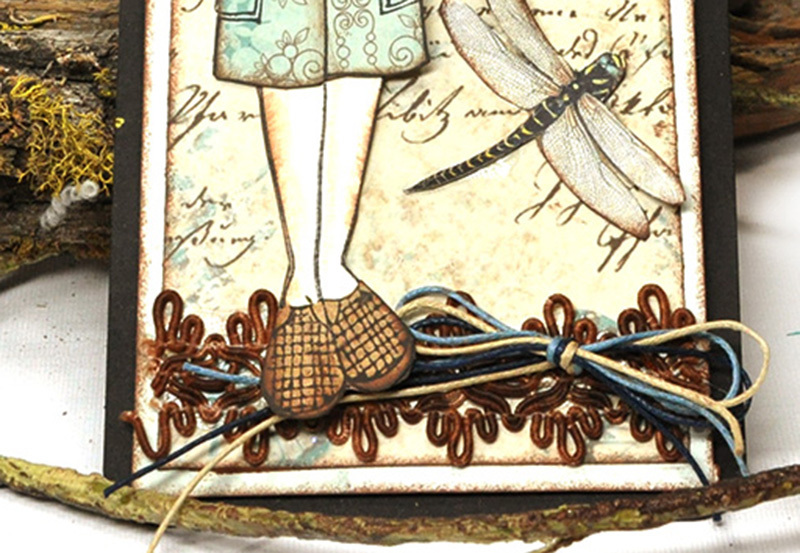 I ALWAYS enjoy seeing what you do with the Prima stamps and all the goodies in the kit! 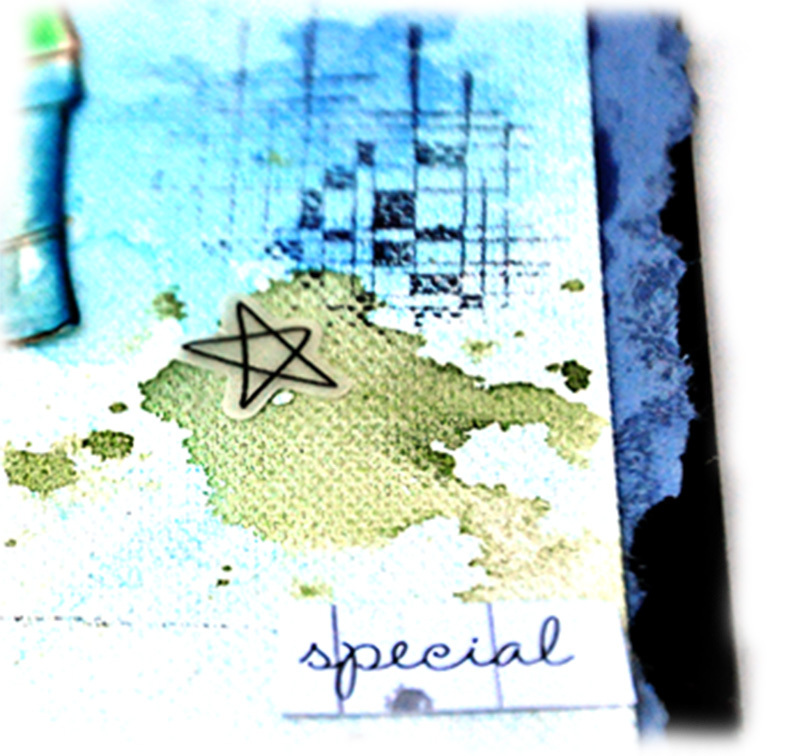 Always inspired!